Grace is the key to everything. And I am not referring to the week-kneed, limp, powerless, feeble grace that you find in most Christian theology today, but the shocking, outrageous, scandalous, indiscriminate, senseless, irrational, unfair, irreligious, ridiculous, absurd, offensive, infinite grace which Jesus exhibited during His life. The only people who really object to this kind of grace are the religious people who think that their behavior merits them some sort of special privilege or position with God and are offended that the so-called “sinners” are put on equal footing with them before God. But that is exactly what God’s grace does. By grace, God loves all, forgives all, and accepts all, with no conditions, no strings attached, no fine print, no qualifications, no limits, and no ongoing requirements. The grace of God is so outlandish and foreign to every human way of thinking and living, I believe that it is absolutely impossible for any human being to place too much emphasis on grace. Grace is often defined as God’s unmerited favor, or, in everyday terminology, God giving us something good that we do not deserve. Grace is different from mercy, which could be defined as God not giving us something bad that we do deserve. I do not think that there is too much disagreement in many Christian circles on the definition of grace, and so I do not want to spend too much time trying to defend a specific definition of grace. What we do see, however, is that certain groups try to limit, restrict, or modify grace so that it is not as shocking or scandalous as it first appears. One way that many use to limit the extent and effectiveness of grace is to connect it with the crucifixion of Jesus. 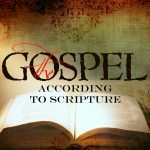 It is not uncommon to hear sermons or read books where it is claimed that it is only because Jesus died on the cross for the sins of the world that God can now show grace toward people. If Jesus had not died, we are told, then God could not have extended His grace toward sinners. But once again, such an idea strips grace of all its meaning and power. Grace, by definition, is unmerited. There is nothing that can be done (or not done) to earn or merit or deserve grace. If God could not extend grace unless someone died (whether it was us or Jesus), then God’s grace is not grace at all, but is a transaction. The extension of God’s grace toward humanity was not preconditioned upon the death of Jesus on the cross. Grace does not demand payment in any way, shape, or form. Grace is not the act of God paying the debt of sin by sacrificing His own Son on the cross as our substitute. Grace has always been extended by God simply on the basis of His love. Grace would still be extended even if Jesus never died on the cross. The death of Jesus on the cross was because of God’s grace; not the grounds for it. It is this fundamental flaw in modern theology’s understanding of grace that has caused so much trouble in many other areas of theology as well. But once we see that God gives grace for no other reason than because God is gracious, it is only then that we begin to understand the true nature of grace. So don’t limit God’s grace by thinking that God could only extend it by sacrificing Jesus to pay the debt of our sin. That’s not grace. Isn’t the death of Jesus because of God’s grace and also the grounds for it? I agree that if we make the death of Jesus the only grounds for God’s grace then we end up with a loving Son appeasing an angry Father. But doesn’t the cross fulfill the grace of God? It is clear the God does the loving first ‘God so loved the world’. It’s a very subtle difference, but an important one. I’ve never been comfortable with what you called the ‘transactional’ model, and you’ve explained it well. Interestingly, when I think back to the 1970s and ’80s, your explanation of grace was exactly what we all had (in small country churches, I’ll admit). It’s only in the past decade or so, and about the same time I moved to bigger city churches, that this other view started to come into favour. And “Who is he that condemns us?? Jesus Christ always talked in parables in order that they might not see and understand and turn and repent and He should heal them. Hallelujah, blessed is he who comes in the name of the Lord! Buh bye, Christianity. Go on, “turning the grace of God unto lasciviousness.” Say hello to Peter, Baalam, Kore, and the angels which kept not their first estate. David, I think you missunderstood this article. Wow, great way to define Gods grace. I couldn’t agree more. Of course I also like the way you point out how the religious were offended by Christ’s life. Funny, they still are today. On UK TV there was a program about people of the 17th C who had written diaries. One farmer and devout puritan wrote about the death of his infant son. He came to believe that the reason for his death was the fact that he had wanted to play (not actually do!!) chess one Sunday. He described the almighty as his strange angry God. I believe this kind of thinking comes out of a extreme version of the forensic model of the atonement which casts as God an essentially angry God who is appeased by a loving gracious Son. The imputed righteousness of the Son then protects us against this essentially angry God. When we sin, however, a gap in this protection opens up and God’s wrath can get through. But Scripture says ‘God so loved the world that he gave his only begotten son’. As Jeremy says we were loved before Jesus died and how much more are we loved now!!! But why did the man’s son die? Lovely story and commentary. I don’t mean to be perverse, but isn’t the answer to your tantalizing question, as far as Christian theology is concerned, because Adam and Eve ate an apple? An argument could be made that the old puritan was too generous, thinking that God had killed his son for a thought crime rather than for a crime committed by ancestors who lived millennia ago. At least the guilty thought was his. There is a tension between Rom 5.17 which talks about reigning in life by grace and 8.18-22 which is about our suffering and the creation groaning. 5.17 says that our lives are sorted out by God’s grace but 8 18-22 reminds us that they are not sorted out. The old puritan was experiencing the suffering that qualifies us for glorification. I may return with another question, but I’ll see how far my own thinking takes me as my theology is quite different from the Christian. The riddle of God’s love and God’s passivity in the face of vulnerable people’s suffering is something that greatly baffles me, both in terms of what it implies about God, and in terms of how we who attempt to follow God should respond. I appreciate your answer Brian. Very thought provoking. Brian – I do not understand. How does suffering “qualify” us for glorification? Are you saying we must suffer to earn something from God? Now we call him, “Abba, Father.” 16 For his Spirit joins with our spirit to affirm that we are God’s children. 17 And since we are his children, we are his heirs. In fact, together with Christ we are heirs of God’s glory. But if we are to share his glory, we must also share his suffering. 18 Yet what we suffer now is nothing compared to the glory he will reveal to us later. 19 For all creation is waiting eagerly for that future day when God will reveal who his children really are. 20 Against its will, all creation was subjected to God’s curse. But with eager hope, 21 the creation looks forward to the day when it will join God’s children in glorious freedom from death and decay. 22 For we know that all creation has been groaning as in the pains of childbirth right up to the present time. 23 And we believers also groan, even though we have the Holy Spirit within us as a foretaste of future glory, for we long for our bodies to be released from sin and suffering. We, too, wait with eager hope for the day when God will give us our full rights as his adopted children, including the new bodies he has promised us. You see in verse 17, we are heirs of God simply because of our position as children of God, however the rest of the verse indicates that there is a greater “position” if you will, the “joint-heir” with Christ, while the first position is only predicated on our position as children, the second position, the sharing in Christ’s glory. is predicated on also sharing in His suffering. While I do not pretend to completely understand this, I do think that while our position as children is not something we earn, the share of Glory is something that is earned by active participation in the work of Jesus, revealing the true character of God, and in the suffering that results from our participation in that work. Lisa, let me explain why I think Brian’s answer is good. It’s that word tension. I’ll explain from the perspective of my own natural faith, but you can Christianize it..
Human beings are finite creatures and because of the natural limitations that unfold from this fact, we run into problems. We are limited in awareness, understanding, wisdom, patience, empathy and so on. Now, God didn’t mess up when he made us finite, and we didn’t fall, it’s simply that God can’t create a world full of infinite beings. if you were infinite all the people you love, animals, places, etc, wouldn’t exist. This, the natural world is the best world God can create. Following God is for our benefit, not His. If we don’t follow God we will find that our limitations really create problems, but if we follow God, we can learn how to live peacefully, creatively, humbly, self-sufficiently, generously, etc. God teaches us all this—no special revelation or learning Greek necessary. But yes, there’s a tension, because although God always welcomes us and wants to show us how to live, we still reman finite creatures. We’re still challenged our own limitations. To follow God we always need to grow — we’re always called to spiritual and moral development.. In Christianity you have this idea of the fall, and the law, and somehow God’s creation got messed up, so that complicates everything. So you have to say something like, we are sinful but we can have a relationship with God because He makes us righteous, but actually we are still sinful but we are called to holy, and the tension lies somewhere in there. Anyway, I sure you understand your theology better than I do. The tension that Brian’s acknowledges is what makes his answer good. From my perspective, the Father loves us and always welcomes us, but equally we are finite creatures and following Him will always be challenging. Pastor FedEx : Thank you. That helps quite a bit. The problem is not that the human race is paying endlessly for someone eating an apple 5,000 years ago. The human race is paying endlessly because man disobeyed God and his spirit died. Also, death has been ruling over man since our ancestor disconnected himself from the life of God. Curtis, my question to Brian doesn’t represent my beliefs, but does represent an area of confusion within the Christian faith that I think is worth raising. Brian shocked me by providing a seriously good answer. If you’d like to know what I believe you’ll find it above in my response to Lisa. I’m sure it will horrify you. As far as your answer goes, “man disobeyed God and his spirit died. Also, death has been ruling over man since our ancestor disconnected himself from the life of God.” that boils down to Adam and Eve ate an apple, because that was the disobedience you’re talking about. Let me ask you a question, taking the eye for an eye principle, which Jesus rejects as too mean, why couldn’t God just have asked Adam an Eve to fetch him a replacement apple? You have two lives and the lives of countless generations for an apple. That makes an eye for an eye pale into insignificance. Please try not to be offended by my question, that’s not my purpose. I’m trying to challenge you, and I want you to provide a great answer. Sorry, can’t find your blog biblicalspiritualintellectual. Can you provide the full ULR ? •	Suffering destroys our illusion of self-sufficiency, and makes us aware of our dependence on God. People tend to forget God when things are going well. There is a military saying, “There are no atheists in foxholes.” When the artillery shells are falling from the sky and people’s comrades in arms are being blown to pieces, everyone realizes that they cannot determine their own fate, and they look to God for help. Sadly, when the war is over, most of those people forget the promises they made and return to their illusion of being in control of life. The suffering we experience, whether it is physical or mental, can help us be more aware of our need for, and dependence on, God. A great challenge is to retain that mindset and be God-centered when the suffering we were experiencing is over. •	Suffering allows us to better understand the suffering of others, and makes us more understanding and caring toward others in need. That has to be part of the meaning of Hebrews 2:10, which says Jesus was “made perfect,” through suffering. The Greek word translated “made perfect” has many applications, and can refer to becoming mature or complete, or attaining a desired goal. Although Jesus was truly made perfect (brought to God’s desired goal) by his suffering and death, inherent in the Greek phrase is also that he attained maturity by suffering. It is truly difficult to understand what others are going through if you have not been through something similar. Jesus’ suffering makes him better able to relate to us, and us to him, and our suffering makes us better able to relate to others who are suffering. •	Suffering can give us credibility with others. Many people who are suffering or have needs are suspicious of , or doubting of, people who have never experienced what they are going through. People who minister to others know that often the best person to reach an alcoholic is a former alcoholic, the best person to reach a drug addict is a former drug addict, etc. We are naturally suspicious of the advice we get from someone who has never experienced what we are going through. God shows us that Jesus Christ is better able to be our High Priest because he suffered like we do: “For we do not have a high priest who is not able to empathize with our weaknesses, but one who has been tempted in every way just as we are, yet without sin” (Heb. 4:15). •	Suffering can get us to readjust our priorities, both physically and mentally. God commands us to seek Him first, and set our minds on things above. As horrible as it is, suffering helps us be successful at that. Many people who live ungodly lives, or even just lives that do not include God, readjust their priorities when faced with suffering. Often prayer, the hope of a better life, and friends in the Church, are the only relief suffering people have. •	Suffering makes the Hope of Christ’s return and a wonderful life on a wonderful earth burn brightly in our soul. Nothing makes the wonderful future earth more appealing than suffering on this earth. People who are happy and healthy in this life, even though they know the next one will be better, never have the burning Hope for the next life that those people who are suffering do. It is when we are in pain that we think like the psalmist: “My soul is in deep anguish. How long, LORD, how long?” (Ps. 6:3). You’re watching too many TV shows about old Puritans. Haven’t you noticed that the whole world is groaning? Do you think that you’re suffering more than the muslims in Palestine, or the refuges in the Ukraine, or all the other people in this world living in poverty, fear and desperation? This is an easy to read and understand ebook (pdf, 113 pages) which will challenge, encourage and strengthen what one believes about the message of Jesus. I have just read it and found it a very stimulating Wow! Jeremy, I am very glad to read you. In everithing you write. I have your posts for a while and delight with them. I live in Eastern Europe and have been raised in an Evangelical background more then 50 years by now. And I have assimilated THIS GRACE as you described it in your posts since my childhood. I had good teachers. That is why I totally agree with your thinking. You just have read my mind, I think. And especially when you said that “The grace of God is so outlandish and foreign to every human way of thinking and living” it is exactly the picture of what I just have read in all the comments above. All them deviate from the sense of grace you just have posted on. All them missed the profound mistery of what is God’s enormous grace . I am also thrilled with “the shocking, outrageous, scandalous, indiscriminate, senseless, irrational, unfair, irreligious, ridiculous, absurd, offensive, infinite grace which Jesus exhibited “. And you said it so so so well. I am exited. Thank you. ok…this is confusing….maybe you can clarify……If God would of extended grace to us even if he didn’t send his son…why then did he send his son? Carey, excellent question. One reason is to defeat sin, death, and the devil. This is part of what is called the “Christus Victor” view of the atonement. we are saved by grace, but we are told to stop sinning, and repent of our sins and live holy lives, if you live like the devil, youre going down with him period. Eternal life is by grace alone, not by works. If we sin, there are devastating temporal and eternal consequences, but the loss of eternal life is not one of these consequences. If it was, then keeping eternal life would be based upon our own good works, which is contrary to grace and to all of Scripture. Carey, No, I am saying it was more necessary than just to die for our sins. He accomplished WAY more than what is usually taught. I see. Well, here is how I look at it: We have been taught that God’s grace is conditional upon the death of Jesus. I just don’t think this is true. Jesus didn’t unleash God’s grace, but revealed God’s grace to us. The death of Jesus didn’t allow God to be gracious, but showed us that God has always been gracious. So amazing. I love what you said about how we have/had grace even before Jesus went to the cross and even if he never did go to the cross we would still have grace. It reminds me of 1 Peter 1:20 when Peter says that Jesus was chosen even before the foundation of the world. The cross didn’t purchase our salvation, it revealed our already present salvation. AMEN!!!! Thanks, Michael. Love the way you summarize the point so succinctly. Grace is truly amazing! This is at best confusing for me. Without Jesus’ death on the cross, we would all be destined for Hell. So….I’m trying to understand what you are saying here…if Jesus had chosen NOT to take on Human Flesh and die for our sins, and we ended up in Hell, you believe we would still have His grace? If at all possible, could you define, in tangible terms, in your opinion, what we get/experience as a result of this grace? Since, if I understand you correctly(not trying to put words in your mouth) you believe that Grace does not keep us from going to Hell, or pay the debt for our sin. It sort of seems the conclusions you drew from this post are the exact opposite of what I was trying to say. What do we get/experience as a result of God’s grace? Everything. There is nothing God gives that does not come from His grace. I believe that eternal life is a free gift of God’s grace to anyone and everyone who simply and only believes in Jesus for it (John 3:16; 5:24; 6:47; etc.). I believe the death of Jesus on the cross was also from God’s grace. I believe forgiveness of sins is from God’s grace. Ok Jeremy. Sorry I miss read it and thanks for the clarification. Thank you Jeremy for these words of truly good news! Don’t hear it enough, its always followed by a big BUT! Jeremy, I agree that grace is free and unmerited, and I agree that in modern-day Christianity grace too often gets mixed with conditions and legalism that God did not intend. But I think you’re throwing the baby out with the bathwater when you reject the substitutionary atonement of Christ. God shows grace and mercy- yes- but not at the expense of righteousness and justice. Only through substitutionary atonement can you have both justice AND grace simultaneously: justice because the sins of the world were atoned for by Christ (that was the WHOLE symbolic point of the OT sacrifice system!!) and grace because God did not have to punish the Christ- he could have simply allowed us all to suffer for our OWN sins. We have done nothing to deserve this atonement, nor can we do anything to earn our place in it. Only an infinitely-worthy substitute sacrifice (Jesus) could be enough to cover ALL sin. God is not just the Creator, he is also the ultimate Judge. What kind of good judge allows crime to go unpunished? God would not be God if he did not demand justice. By rejecting the Atonement you have gone completely off the theological rails- so to speak. Don’t you see that God was painting a picture of something … important … when he instructed the Jews to have atoning sacrifices for sin? You’re in luck, because I’m writing a book on this very subject… Due out in 4 weeks! Stay tuned! Clement apparently believed that without the blood of Christ, the “grace of repentance” would not have been available to the world! That sounds an awful lot like substitutionary atonement to me. No, what Clement wrote there is fully within Christus Victor and what the rest of the NT says about the blood of Jesus. He is saying that the blood of Jesus saves us (and it does) and it calls us to repentance (it does). I fully agree with Clement’s words there. I have a book coming out at the end of this month which explains more. I love this post..it’s what I have always thought..God loves us beyond our comprehension and he gave us his son to prove it to us. No matter what, we are saved my Gods good grace and our acceptance of this. Right. By grace from first to last! Amazing grace! Isn’t it strange that in spite of God going to great lengths to explain and demonstrate His love and grace yet many seem to hold to their theology of condemnation and hate? Yes! So sad. Why hold on to hate when everything about Jesus and His revelation of God is nothing but love? I love Jesus. The Jesus from the Gospels. The one who brought the corrective to everybody’s image of God. I met Jesus on my own road to Damascus; I was hardly a Christian. Indeed, I was strongly anti-Christian due to many of the encounters I’d had with representatives of Christianity in the first couple of decades of my life. But at the age of 27, I had a life-changing encounter with Jesus and He has had my heart ever since. Over the past two decades, I’ve attended several churches over the years, different sizes and denominations. I’ve played in the worship bands (even led worship), led youth and Sunday school classes. Been involved, you know… not just a passive pew participant. I’ve traveled through different theologies, read countless books and commentaries, and have reached a point in my own personal journey where I honestly feel that way too many “serious” committed Christians put far too much emphasis on theological principles than they do basic human decency. I’ve been around far too many pastors and deacons (and involved in too many online conversations) with a certain type of “Christian” who is militant (belligerent), condescending and rude, and totally lacking in empathy and compassion toward other people, whether they be other Christians of a different stripe, “unbelievers” (or whatever you want to call them), and who are so rigid and self-righteous that you can’t even have a constructive conversation with them. I have been moved to wonder several times lately if much of what calls itself the church today (at least here in America) isn’t more representative of the very religious and exclusive institution that Jesus opposed in the gospels. It is a sad irony, and I believe that there are many, many people who would probably find they LOVE Jesus if they had the opportunity to discover that He is nothing like the belligerent, self-righteous hypocrites who so often claim to represent Him. That was my own experience. I chose to leave this comment on your post because to me, the main and fundamental issue that far too many “Christians” fail to grasp (and therefore to exhibit) is grace. When someone fails to understand grace, they will also most certainly fail to understand mercy, and this is reflected in the way they perceive and respond to other people… most especially those outside their particular camp. I have been very disheartened lately by far too many. Does this mean there is no need to be Christian? Even Atheists are forgiven and accepted? Even Atheists are fully forgiven. But this doesn’t mean they have eternal life. A person receives eternal life by believing in Jesus for it.